The powerful and dynamic duo of the two leaders the German Chancellor Angela Merkel and the French President Nicolas Sarkozy or ‘Merzoky’ have been preparing their nations for major changes in the EU. The global economy still determines the growth of the Euro Zone, so markets in other countries such as the United States and the U.S. Federal Reserve will also have to make an effort to keep the Euro alive by promoting recovery. The powerful and dynamic duo of the two leaders the German Chancellor Angela Merkel and the French President Nicolas Sarkozy who are the driving force in the 17-strong currency union have a new favorite name ‘Merkozy. ’ They are working on a deal to resolve the Euro Zone debt crisis that is multi factorial in nature and while the two leaders are sensitive to the concerns among other members that the big powers should not dictate them, but no country is willing to pay the price that saving the Euro entails. Experts at the FX trading company InvestTechFX report that with the Euro’s survival chances diminishing rapidly, financial losses the size of those reported during the Lehman collapse seem inevitable and this will affect Forex Ecn markets across the globe. The global economy still determines the growth of the Euro Zone, so markets in other countries such as the United States and the U.S. Federal Reserve will also have to make an effort to keep the Euro alive by promoting recovery. ‘Merzoky’ have been preparing their nations for major changes in the EU after an EU emergency summit in Brussels and talks are in order to prevent the kind of cascading crises that have plagued the European union this year through a more centralized control over the budget of individual countries and a whole new European Union. There are expectations of announcing a detailed plan to save the Euro that is being negotiated along the four main lines of augmentation of the bailout fund through more money from the International Monetary Fund, a larger bailout fund, new promises of fiscal discipline, and quiet political cover in the interim for the EU Central bank to keep purchasing Spanish and Italian bonds aggressively. 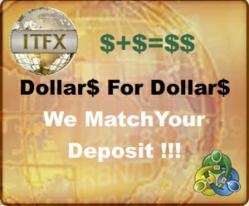 The online Forex trading company InvestTechFX is a proven leader in the industry of artificial intelligence software. They are renowned for their top notch trading technology systems in the computerized trading industry whose experts develop advanced, customizable, intuitive, efficient, and sophisticated trading tools that help people understand Forex currency exchanges related trends and developments. Apart from offering new, exciting, and innovative Forex trading solutions, they are well known for their detailed and comprehensive learning center.